InfoTrust a Google Analytics Certified Partner and Google Analytics Premium Reseller based in Cincinnati, OH. New Year’s is the ideal time for making resolutions (that we keep until the second week of January). To avoid this cliché, I decided to actually wait until the second week of January to put together my resolutions/ideas/tactics for taking Google Analytics in 2013 to the next level. 1. Address your data phobia. Maybe it is a little bit extreme to say that a lot of digital marketers have an extreme fear of web analytics data, but it is safe to assume that data is what often causes migraines. Staring at pie charts, graphs and percentages until you know what you are looking for is the wrong way to start. The remedy for data phobia is simple – ignore the data you do not need to make a marketing decision. And always remember to align your Google Analytics configuration with your business goals. 2. Assign a monetary value to your goals even if you do not sell anything on your website. Each submitted form, played video, downloaded PDF is worth something. Otherwise, why did you put it on a site? It is not enough to say that you need to decrease your bounce rate by 5%. Equate the decrease in your bounce rate by 5% to the amount of money that you can make when those visitors submit completed “contact us” forms or other micro conversions. For example, work with the email marketing team to determine the value of each new email subscriber. If you get more people to join your email list then you will be able to sell more products via email marketing. 3. Not all marketing strategies are created equal. In order to turn a prospect into a customer you might have to engage in remarketing, email marketing and social media marketing. 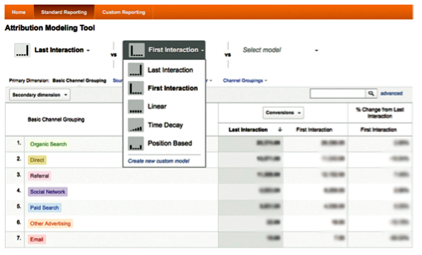 Use attribution modeling inside Google Analytics to examine how each marketing tactic contributes to a sale/conversion. Here is a blog post from the Google Analytics team on how to get started with attribution modeling. In 2012, Attribution Modeling was only available for Google Analytics Premium customers; in 2013 it will be available across all Google Analytics. 4. For some reason, social media measurement is something companies are still unsure about. It is difficult and complex, but you have to start somewhere. 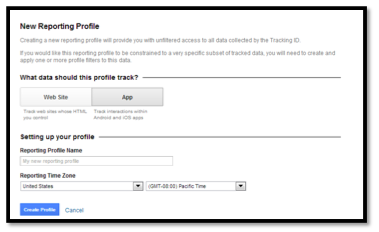 Why not start with Google Analytics Social Reports? This will help you track visitors that social media channels brought to your website, measure the value of those channels by tracking conversions and examine how your content is being shared across social networks. It feels good to say that last month, 10 people from Facebook who came to your website became your customers. Learn more about Social Reports. 5. Tools are great, but great analysts are awesome. The true value of analytics is fully unlocked when you get to work on your data and turn it into something actionable. Make sure that you have a team (even if it is a team of 1) that knows how to analyze data to help you reach your marketing goals. 6. If you begin to analyze your data, and realize that you do not have enough context to make a decision, get more data. Now, you can do a cost data import and Google Analytics will display how non-Google paid search campaigns perform and compare to your other marketing campaigns. Here is a how-to article from Google Analytics on Measuring Performance of Paid Campaigns. 7. While we are on the subject of trying new things, Remarketing is something that I have promised myself to do more of. 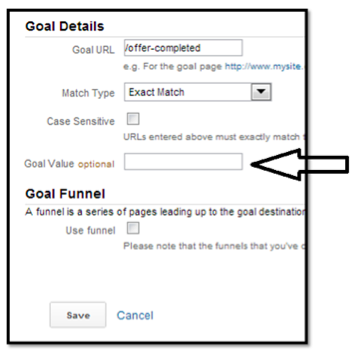 Remarketing is now available right inside Google Analytics. Here is a PDF document and a Webinar about Remarketing with Google Analytics. 8. Mobile optimization is the most exciting digital opportunity for marketers in the coming year, according to new Econsultancy report. Since this is the case, mobile analytics will become more important than ever. Segmenting and understanding your mobile visitors will help you create a winning mobile experience that will lead to conversions and sales. In October, Google Analytics announced a public beta launch for mobile app analytics. 9. Begin measuring your analytics ROI. Time that you spend on collecting, reporting and analyzing data is not free – there is an opportunity cost. In order to prove the value of analytics inside your organization, begin measuring your Return on Analytics. When you accurately collect data, and properly analyze it, you are able to make accurate marketing decisions. Measure the impact of your analytics. 10. ACTION! This is a common phrase on any movie set. This should become a common phrase for everyone who uses Google Analytics. Turn your data into actionable marketing reports and smart dashboards that will help with the analysis. 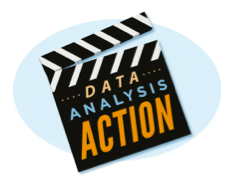 When you see true data analysis, you will want to scream ACTION! This means that the data and data analysis are so clear and crisp that you know exactly what needs to be done to reach your marketing objectives. Don’t settle for anything less. DATA, ANALYSIS, ACTION! The following is a guest post from Michael Loban, CMO of InfoTrust a Google Analytics Certified Partner and Google Analytics Premium Reseller based in Cincinnati, OH.